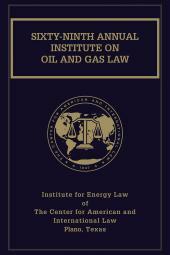 The proceedings of the Institute on Oil and Gas Law, part of The Institute for Energy Law of The Center for American and International Law's continuing education program, provide expert guidance on current legal issues involving the oil, gas, and energy industries. Published in condensed and edited form, with an index and table of cases, the proceedings offer oil, gas, and energy practitioners practical ideas and solutions for dealing with the impact of new laws and regulations. The annual proceedings of the Institute on Oil and Gas Law, part of The Institute for Energy Law of The Center for American and International Law's continuing education program, provide expert guidance on current legal issues involving the oil, gas and energy industries. 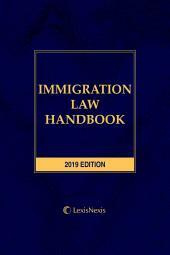 Published in condensed and edited formwith a separate cumulative index, table of cases, table of articles, and table of authorsthe proceedings offer oil, gas and energy practitioners practical ideas and solutions for dealing with the impact of new laws and regulations. The timeliness of the topics and the insight and experience of the authors make The Institute for Energy Law of The Center for American and International Law's Annual Institute on Oil and Gas Law a valuable addition to the library of anyone with a practice concerned with oil and gas law. The Institute for Energy Law (IEL), part of The Center for American and International Law, was established in 1959 and provides superior educational and professional opportunities for lawyers and other professionals in the energy industry through educational courses, conferences, scholarly publications and membership activities. IEL presents several educational conferences and seminars each year, publishes papers and periodicals, and provides an important forum in which contemporary issues affecting the energy industries can be discussed. 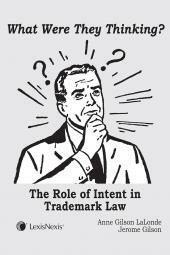 Learn more at http://www.cailaw.org/institute-for-energy-law/index.html . Visit IEL's LinkedIn page at https://www.linkedin.com/groups/2330688.